Seniors are wasting their time and money taking calcium and vitamin Dsupplements to ward off the brittle bones of old age, says a Chinese doctor. Dr. Jia-Guo Zhao, an orthopedic surgeon with Tianjin Hospital in China, says there is no evidence these supplements protect against hip fractures in the elderly. For their analysis, Zhao and his colleagues combed through medical literature to find clinical trials that previously tested the usefulness of calcium and Vitamin D supplements. They found data from 33 different clinical trials involving more than 51,000 participants, all of whom were age 50+ and living independently. Not all experts agreed with this conclusion, however. Orthopedic surgeon Dr. Daniel Smith says the study makes a “bold leap” by arguing that these supplements do no good at all. 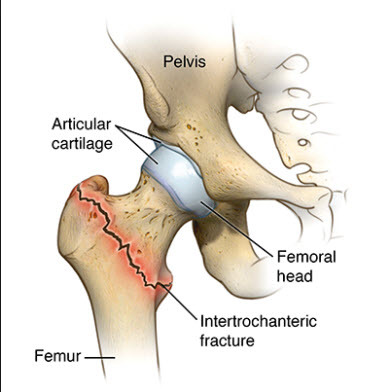 Lost in this study, says Dr. Smith, is that the personal health cost of a hip fracture can be catastrophic,” said Smith, Professor at the Icahn School of Medicine at Mount Sinai in New York City. Dr. Smith says that the benefit of calcium and vitamin D supplementation in preventing even a small number of hip fractures outweighs the low risk of taking supplements. It’s been long standing medical advice that aging people focus on getting enough calcium and vitamin D to preserve their bone health as they age. About 99 percent of the calcium in the human body is stored in the bones and teeth, and the body cannot produce the mineral on its own, according to the U.S. National Institutes of Health. Too little calcium can lead to osteoporosis. The body also requires vitamin D to absorb calcium. The National Osteoporosis Foundation recommends that women aged 50+ and men 70+ should get 1,200 mg daily. Vitamin D is synthesized in the skin in response to ultraviolet-B radiation in sunlight, and dietary sources of vitamin D are limited. Exercising out in the sunshine is another way to get the necessary daily amount of Vitamin d.
Potential dietary sources of these nutrients prove one of the weaknesses of the evidence review, Smith argued. Much of the data reviewed by the Chinese researchers were skewed in some way and therefore its conclusion is open to debate. No negative data have been reported in seniors taking calcium and vitamin d supplements.